Juan Tomás Ávila Laurel, considered the most important and renowned living writer from the West African nation of Equatorial Guinea, will speak on the Alfred University campus on Tuesday, April 16. 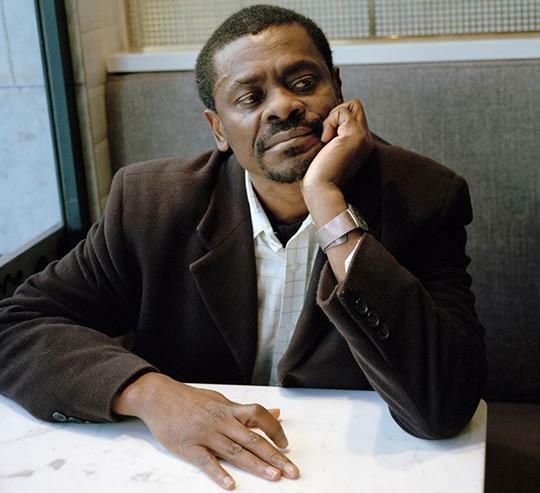 ALFRED, NY – Juan Tomás Ávila Laurel, considered the most important and renowned living writer from the West African nation of Equatorial Guinea, will speak on the Alfred University campus on Tuesday, April 16. The lecture, titled “Literature of Equatorial Guinea, to Create an Activism,” will be held from 9:20 to 10:10 a.m. in Olin Room 201. Ávila Laurel will share his knowledge of decolonialization and dictatorship in Equatorial Guinea. The talk, free and open to the public, will be presented in Spanish, with translation provided, and will be followed by a reception. Ávila Laurel, a blogger and activist, has been in exile in Spain since 2011 following his hunger strike. His current novel, released in April, Cuando a Guinea se iba por mar (When You Went to Guinea over the Sea), is about the migration from the small Atlantic island of Annobón to Malabo as a mandatory government order. Another novel, translated into English, The Gurugu Pledge (2017) explores African migration at the borders of the Mediterranean. Returning to Annobón, By Night the Mountain Burns (2009) narrates a child’s view of changes in his community. In addition to the Tuesday morning lecture, Ávila Laurel will be present at two events for Spanish speakers: a book launch, Estudiantes de “Literatura infantil y juvenil,” at the Alfred Box of Books (12:20-1:20pm) and the Literary Theory Seminar “El poscolonialismo” (1:20-3:00pm) in Perlman 217. Ávila Laurel’s visit to Alfred has been coordinated by Kerry Kautzman, associate professor of Spanish, with support from the College of Liberal Arts and Sciences, the Division of Modern Languages, and the Global Studies Program.